At 40' long it is not just longer but also wider than his old Cat and provides plenty of space for all your gear and 12 anglers. There is plenty of space whether Smuggler is on the drift or at anchor. 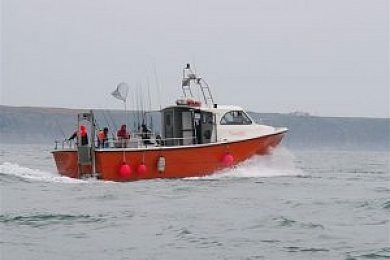 Colin is offering the boat for around £450/£500 per day dependent on distance traveled from the island. Stick close to the island (don't forget you are already 8 miles away from the French coast!) and it will be the cheaper option. Travel in to the Channel for wrecking or Congering then of course it will be more like £500.